So the new way to pump up anticipation for a trailer launch is by releasing a 'leaked' copy and then releasing the real one a few hours later. This is hardly an original move as Avengers: Age of Ultron did the same thing but I would set aside my snide comments for now just because the trailer is actually better that I expected for a non-Marvel superhero franchise. Henry Cavill, Amy Adams, Diane Lane, Laurence Fishburne, and Christina Wren will reprise their roles from Man of Steel. Joining the cast are Ben Affleck as Batman, Gal Gadot as Wonder Woman, Jesse Eisenberg as Lex Luthor, Jeremy Irons as Alfred Pennyworth, Ray Fisher as Cyborg, Jason Momoa as Aquaman, and Tao Okamoto as Lex Luthor's assistant Mercy Graves. Scoot McNairy, Callan Mulvey, Jena Malone, and Holly Hunter have also been cast, with Hunter's voice prominently included as one of the voices in the trailer. 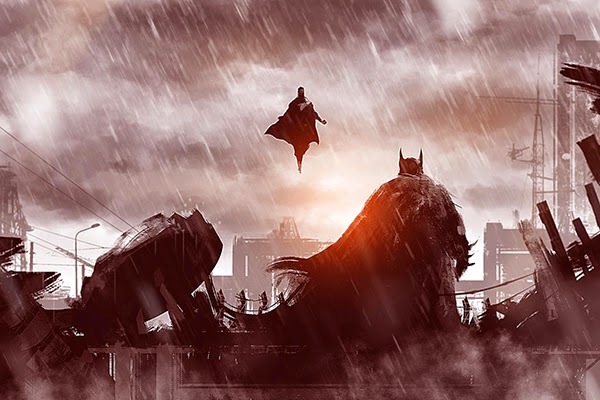 Batman v Superman: Dawn of Justice is scheduled to be released on March 25, 2016.